From <i>Precious Remedies Against Satan's Devices</i>, out on Asthmatic Kitty Records June 12, 2012. http://asthmatickitty.com/precious-remedies Join The Welcome Wagon: http://welcometothewelcomewagon.com/ Precious Remedies Against Satan’s Devices, The Welcome Wagon’s second full-length, is an apt sequel to their critically acclaimed 2008 debut, Welcome to the Welcome Wagon. Here, Vito and Monique simply throw those welcoming arms open wider, inviting the listener to join them for 51 minutes of church. Those who enjoyed the Welcome Wagon’s debut album will notice their distinct sound again here – loose, jangly, comfortable, a gathering of friends making music together. It’s at times jaunty and toe-tapping, at others quietly contemplative, an alt-folk gem that sounds very much like it comes out of the Asthmatic Kitty camp. But while the first album was recorded over the course of eight years in various venues, this one was done in five days at the library of an old rectory in Brooklyn. And while recording artist and AK co-owner Sufjan Stevens produced WW’s first album, he’s less noticeable on this collection, produced by Alexander Foote, who also plays guitars, organ, autoharp, percussion, and some piano. (Stevens does play banjo and piano and sings in the choir on several songs here.) Vito says his songwriting is informed by his work as senior pastor at Resurrection Presbyterian Church in Brooklyn’s Williamsburg neighborhood. “A pastor is supposed to care for people, to help them to love God, to engage with their lives and their joys and their sorrows,” he says. “I’m only interested in writing music that will speak to that. I’m writing as a pastor, wanting these songs to speak God’s truth into those situations.” Precious Remedies for everyone. How did I miss this? This is a sweet song from the WWs! LOVE the unexpected chord progression here! 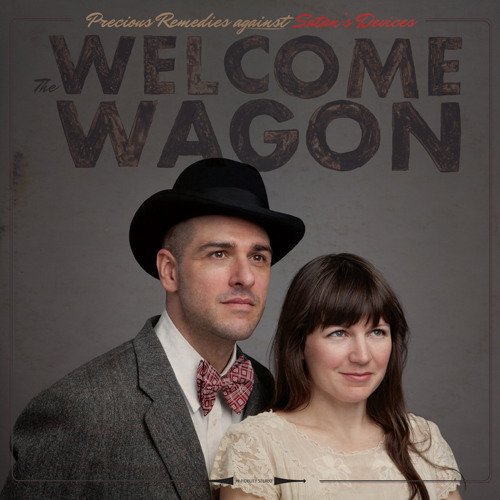 Download The Welcome Wagon, "Would You Come And See Me In New York" Buy The Welcome Wagon, "Would You Come And See Me In New York"
Users who like The Welcome Wagon, "Would You Come And See Me In New York"
Users who reposted The Welcome Wagon, "Would You Come And See Me In New York"
Playlists containing The Welcome Wagon, "Would You Come And See Me In New York"
More tracks like The Welcome Wagon, "Would You Come And See Me In New York"